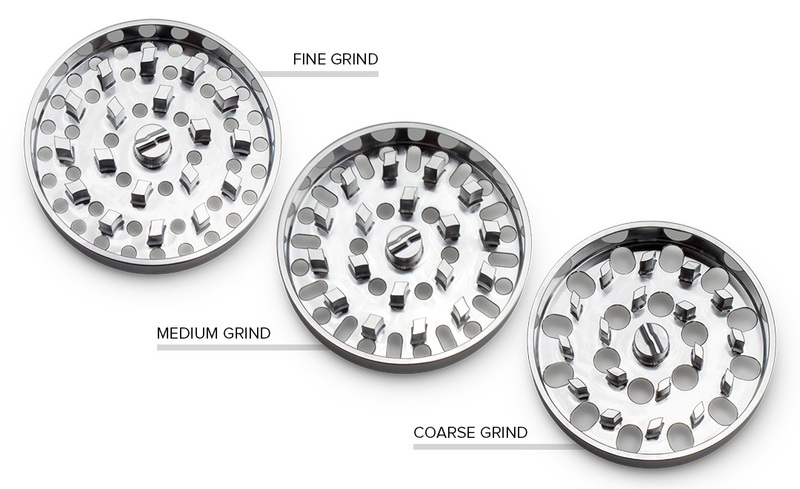 What separates the Brilliant Cut Herb Grinder from all the others? The Brilliant Cut Herb Grinder is based around a breakthrough mechanical design that greatly reduces friction and metal-on-metal wear. 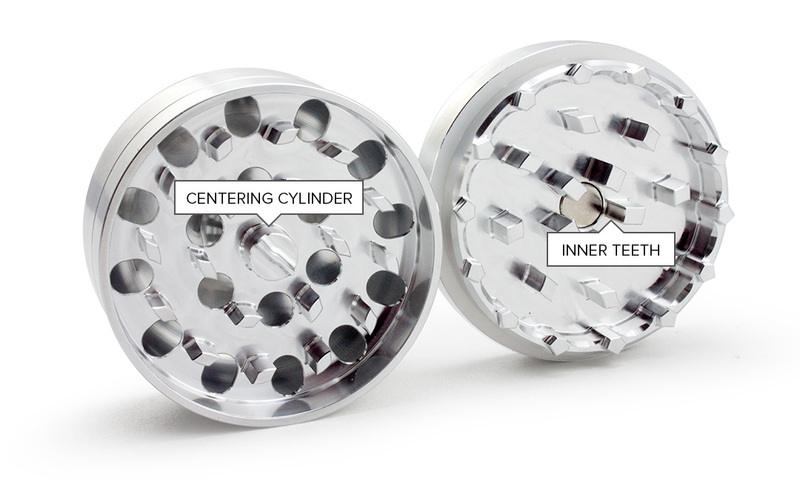 Unlike conventional grinders that align themselves with an inner and outer rim, the Brilliant Cut Herb Grinder primarily aligns itself magnetically but it is also constrained by the interaction between the centering cylinder and the inner teeth. This new mechanical design does not create the residue build-up that leads to jamming, so your grinder will stay smooth no matter how much you use it. Stop fighting with your grinder and pick up your Brilliant Cut Herb Grinder today. The new quick connect design makes accessing your ground herb easier than ever. With a simple clamshell opening technique, you can access your herb within a second. And when you're done, it automatically closes. No more screwing around with threads! This quick connect makes things easy and convenient, while also being strong enough to handle drops without breaking open. Quit screwing around with threads and quick connect with your Brilliant Cut Herb Grinder today. It doesn't matter where you load your herb, the Brilliant Cut Herb Grinder will grind and evacuate everything you put into it. 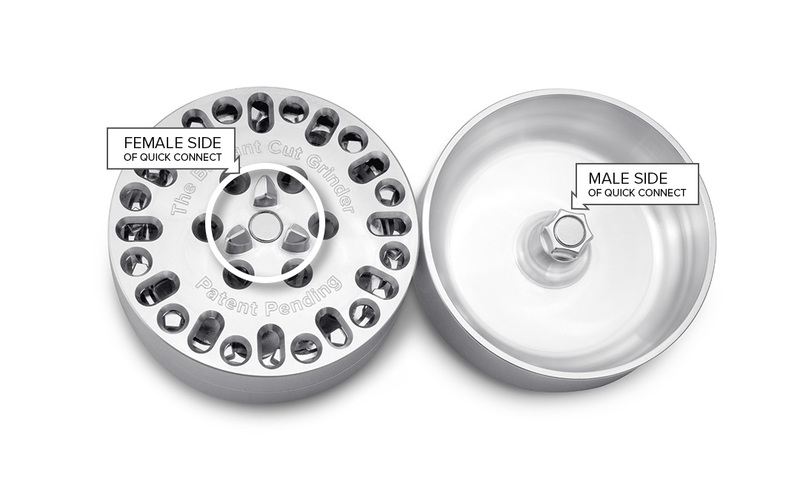 With a cutting edge between the magnetic connection, nothing will ever get stuck in the middle, so your grinder will always fully close. And with teeth embedded in the outer rim, the effective grinding area far exceeds conventional grinder designs. All these cutting edges ensure your herb is ground and not crushed. Less crushing means less residue build-up. 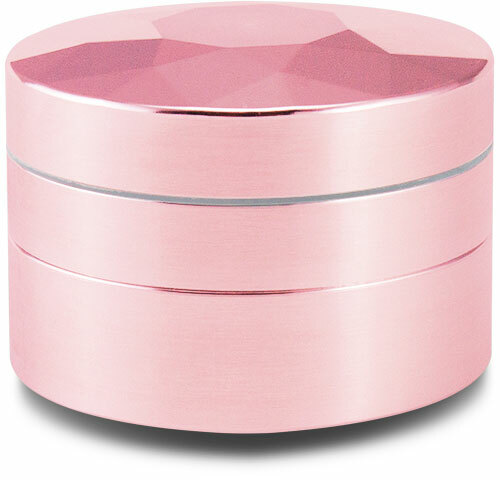 Stop crushing and start grinding with the Brilliant Cut Herb Grinder. The Dazzling Brilliant Cut Design will shine no matter where you are. We achieve this timeless look with high-tech CNC manufacturing. 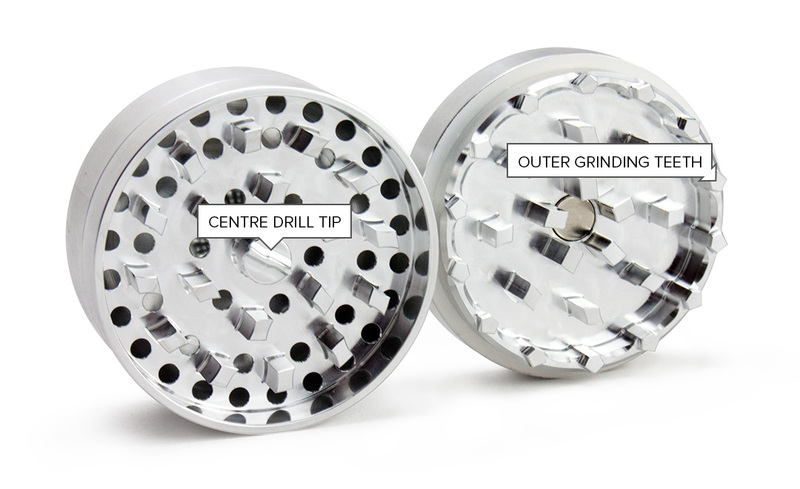 We manufacture these grinders in-house in Vancouver, Canada, so we have full control over quality. We spend the extra time to make sure each grinder is perfect. This is why our grinders shine. 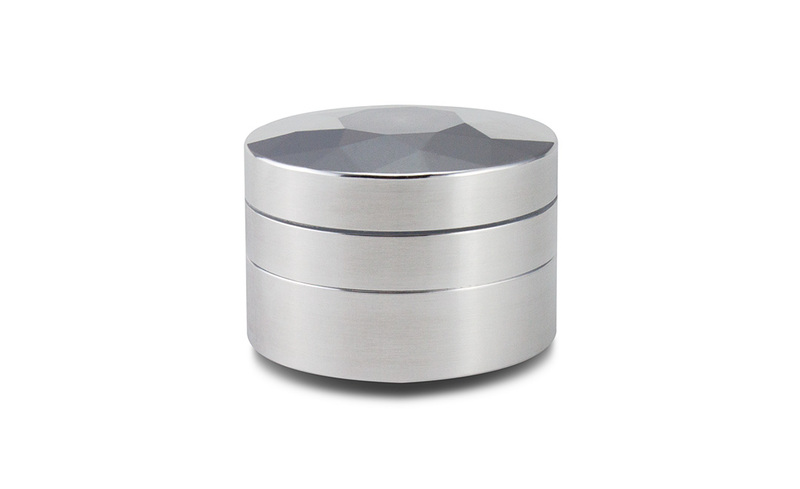 Stand out from the crowd and get your very own Brilliant Cut Herb Grinder today. We use aerospace 7075 aluminium, which is one of the strongest aluminium alloys ever created. Our competitors, on the other hand, use the softer 6061 aluminium alloy, which is prone to bending and denting. 7075 aluminium has far superior mechanical properties compared to that of 6061. With it, we have created a grinder that will truly last a lifetime. 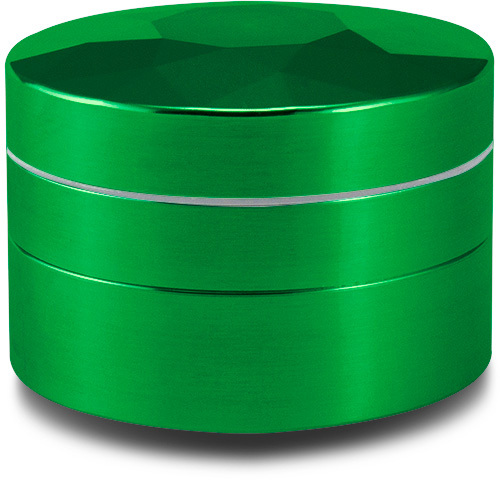 Make the Brilliant Cut Herb Grinder your grinder for life. We know that one grind doesn't work for everyone or for every occasion and that's why we're offering 3 different grinding plates. Each grinding plate produces a consistent, uniform, chunkless grind with fast flow through. Whatever your preference, we got you covered. You can swap out the middle grinding plate to change your grind size in an instant. It’s your choice – get the grind you want. Available in 8 precious colours.